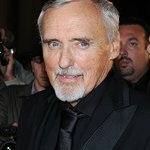 Hollywood legend Dennis Hopper passed away on Saturday, May 29, leaving behind a legacy seldom matched by actors. After starting out in films such as Rebel Without a Cause and the classic Easy Rider, Hopper went on to gain two Golden Globe and two Academy Award nominations in his career and won the hearts of film critics for his intense and gritty performances. And although he enjoyed a level of anonymity in his charity work, Hopper was often spotted lending his support to causes he believed in. Charities he supported included Bono's (RED), for which he attended the massive Valentine’s Day charity art auction in 2008. He played poker for a variety of causes – including the Center For American Progress – and was a regular at amfAR's Cinema Against AIDS events in Cannes. It was at Cannes that he was honored by the Maybach Foundation for his charity work. Hopper was a big supporter of Oceana, one of the world’s premier environmental organizations, and was on the event committee for the 2009 Save Our Surf event. Last year, Hopper was featured in Room 23, a book of celebrity photos that depicted life in a Beverly Hills penthouse suite that raised money for the Sanela Diana Jenkins International Human Rights Project, a non-profit entity at the UCLA School of Law that brings war criminals to justice through legal resources and technology. Established by Bosnian-born Diana Jenkins, the project aims at developing groundbreaking approaches to advancing human rights and to training the next generation of human rights lawyers and advocates. In November last year, Hopper made one of his last charity appearances at a horse racing event in California to raise money for cancer research, the disease he succumbed to during the weekend. Hopper is survived by four children and an unbeatable legacy.